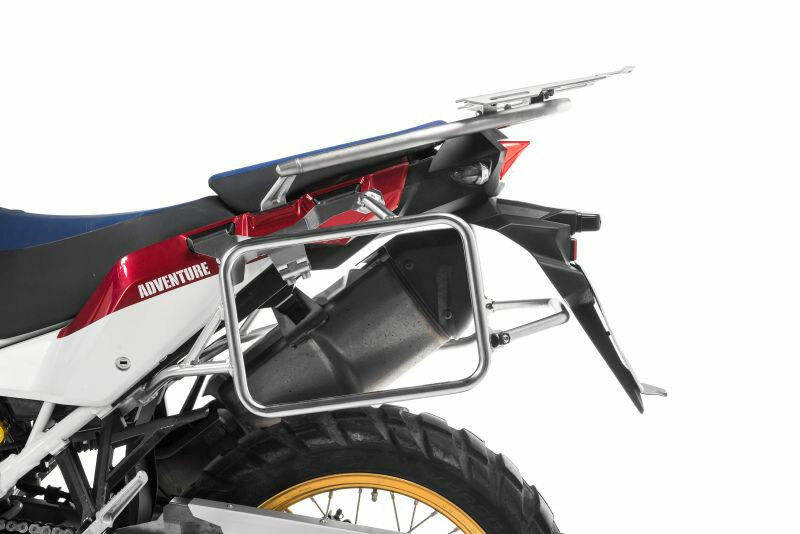 Touratech’s stainless steel pannier rack for the Africa Twin is a sturdy rack designed to take Touratech ZEGA Pro, ZEGA Pro2 and ZEGA Mundo cases. 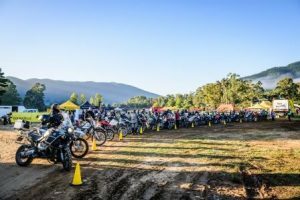 Made of 18mm stainless steel tubing, this non-rusting system matches the appearance of the Africa Twin frame and guarantees extra high stability even off the beaten track. It is fitted as closely as possible to the vehicle frame using the existing attachment points. 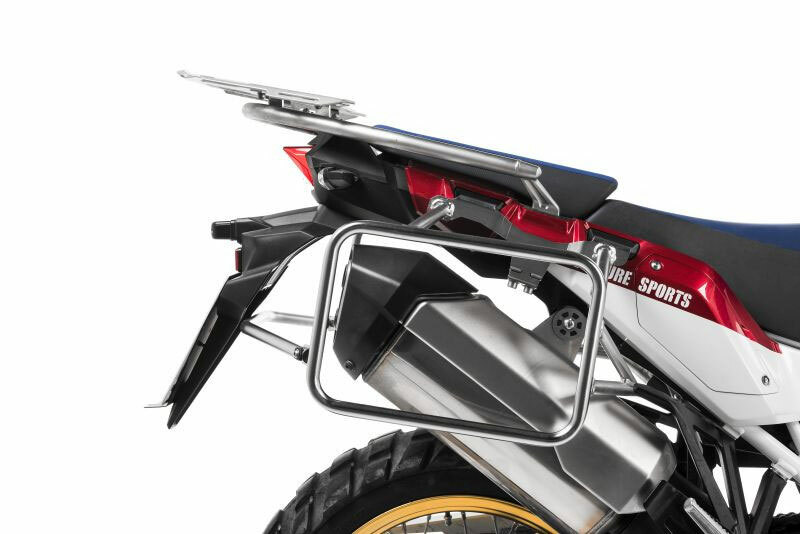 The racks fit the Honda CRF1000L Africa Twin (2018-) / CRF1000L Adventure Sports, and is AVAILABLE HERE.